Respite care, simply defined is a short stay at a community such as an assisted living campus. It is designed for seniors or disabled individuals who need day-to-day living assistance for a temporary amount of time. Before making the decision on what is best for you or your loved one, you should know the benefits of respite care, how it's different from in-home care, the services offered and the cost difference. It's helpful to have all the knowledge associated with such care before making the decision. Three nutritious meals a day, designed to meet their specific diet requirements: many seniors have diet restrictions due to health issues such as diabetes and hypertension. Respite care will give your parent meal choices within their personal diet guidelines so they'll get three balanced meals of the foods they like best. Housekeeping services: every caregiver knows how hard it is to keep up on housekeeping while tending to their loved one. In respite care housekeeping is part of the package, so you won't have to worry about clutter or dust. Laundry service: clean laundry is included in respite care so you won't have to pack an endless amount of clothes and linens. Transportation to appointments: many caregivers arrange their spare time around appointments to doctors, therapists, and other professional and personal appointments for their elder. Respite care not only takes care of the transportation, they'll also keep track of the appointments ad results. 24 hour on site security: both inside and out, respite care is secure. Well-lit outdoor areas prevent trespass at night and indoor security means your parent will never have to worry about intrusion. In house therapy: If you are recovering from surgery and need a few weeks to recoup and need therapy to help you get back on your feet, Respite care has the best benefits for such care. It will provide you with a helpful staff that will help with not only daily tasks but daily therapy, if needed. Caregiver is traveling or just needs a break: caregivers sometimes need to travel and are stymied by their parents' personal care needs. Likewise, a caregiver needs regular breaks to stay healthy themselves, and respite care is the perfect solution for a worry-free vacation. Caregiver is sick or injured: caregiving can be strenuous work, both physically and mentally. Caregivers are often injured lifting their patient or performing other necessary duties; they also are more susceptible to illness because they put their parent's health first. If a caregiver becomes injured or ill respite care may be a viable alternative to keep the elder safe and cared for during the time of healing. After surgery or when healing from an injury: seniors often require surgery, and seniors often fall. If your parent needs extra care after an operation or injury respite care is a great way to know they'll get the extra help they need to get back on the road to health. Family emergencies: sometimes fate steps in when we least expect it. If you have a family emergency and your caregiver routine is disrupted respite care can save the day by providing for your parent's needs while the family copes with the immediate problem. Deciding if the Assisted Living Community is a good fit: respite care is also a great choice if your parents are considering moving to an assisted living campus. Because respite care is short term they can spend some time living at the community before making a commitment to move. That way everyone will know they've made the right choice and are confident they'll enjoy their new lifestyle. According to the National Alliance for Caregiving almost one third of in-home caregiving is given by a family member, and the average number of hours a week spent giving care is 20. Often professional in-home care is added when the senior's health worsens or the family member becomes overwhelmed. Professional help can be in the form of a visiting nurse making scheduled visits several times a week or in the form of a paid caregiving aide. Usually the family member is in charge of the senior's medication and bears the brunt of coordinating doctor appointments and all other aspects of elder care. If the primary caregiver is employed outside the home they often miss work, and caregiving homes have an income 15 percent below average. Over 20 percent of caregivers report their own health is fair or poor after just five years of caring for their loved one. In contrast, respite care is a consistent caring environment designed for the comfort of the senior. Because the staff is specifically trained to provide elder care they cater to each senior individually. In addition, because they see your loved one every day they will spot a change in health more quickly than a visiting nurse or aide might. Respite care also takes into account the importance of social interaction so your parent will not be as isolated as they are when homebound. Medicines are given at proper dosage times: every caregiver knows how hard it is to keep track of their parents' medications, and if they have in-home care a few times a week the timing can be changed or a dose missed altogether. In respite care medication is closely monitored by trained professionals so you never have to worry about missed doses. Meals are prepared to comply with any dietary restrictions and needs: it's no secret that most seniors have a reduced appetite and that can make nutritious meals a challenge. If they also have restrictions from eating certain foods it's even harder to comply with their needs. In respite care trained dietitians oversee each resident's nutrition needs and restrictions so your parent will have a variety of healthy, nutritious food choices three times a day. Nonintrusive wellness checks are performed on a regular schedule: if your parent enjoys their privacy it won't be unnecessarily invaded while they're in respite care. Nonintrusive wellness checks mean the staff will make sure they're doing well without intruding on their privacy at random times. Laundry service: because laundry service is included in the stay you won't have to worry about packing an extensive amount of clothing and bedding. Your parent will have clean laundry on a regular schedule. Housekeeping service: basic housekeeping is done regularly so your parent won't have to try and maintain their apartment on their own. Entertainment: respite care in assisted living means your loved one can take please in regular entertainment that is scheduled for all residents to enjoy. Arts and crafts: assisted living also has a great range of art and craft classes so your parent won't be bored or isolated during their stay. Whether they take part in a craft they've had as a lifelong hobby or learn a new one it's a great way to keep their minds sharp while giving them social interaction with their neighbors. 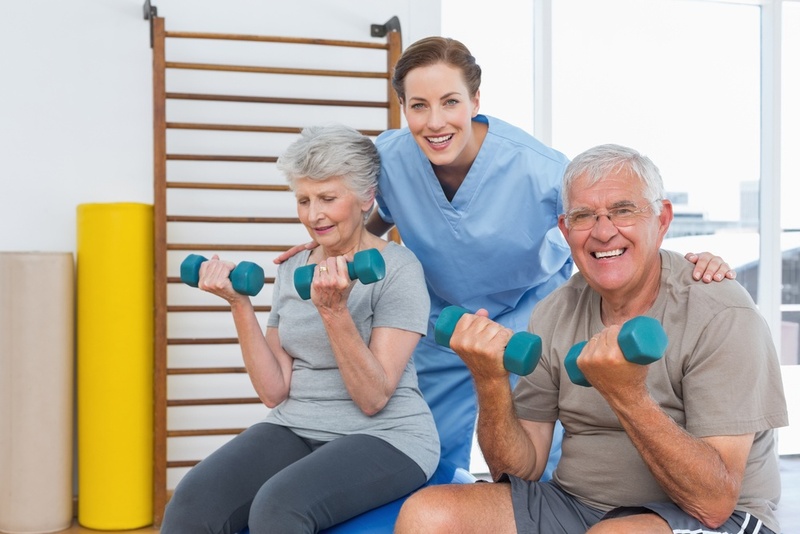 Fitness programs: fitness is vital for seniors, and assisted living will design an exercise routine just for your parent's needs. Because progress and needs are evaluated regularly they won't get discouraged by a program that is too hard or too easy for them to enjoy. Transportation: whether it's a doctor appointment or a shopping trip transportation is covered while your loved one is in respite care. They can also enjoy trips to local venues and restaurants if they choose! The overall cost of respite care will depend on the type of care they require. As each level of offered care gives more individual attention to each person. The overall cost isn't comparative to in-home care because respite care is all-inclusive. There are no utilities, home maintenance, housekeeping, or transportation costs added as it is when you receives in-home care. When you tour the facility you'll receive an exact cost based on the level of required care and the planned length of the stay. Respite care can be a huge help for those who just need time to recover, for both the loved one and the caregiver. The purpose is just like the definition of respite - a temporary rest or relief. This care is to provide just that time to rest for a short period of time, for you or your loved one. Now that you have done your research, you would should know if it's a good fit for you or your loved one. If you have any other questions that we haven't answered for you,please feel free to reach out to us. We would be happy to help.